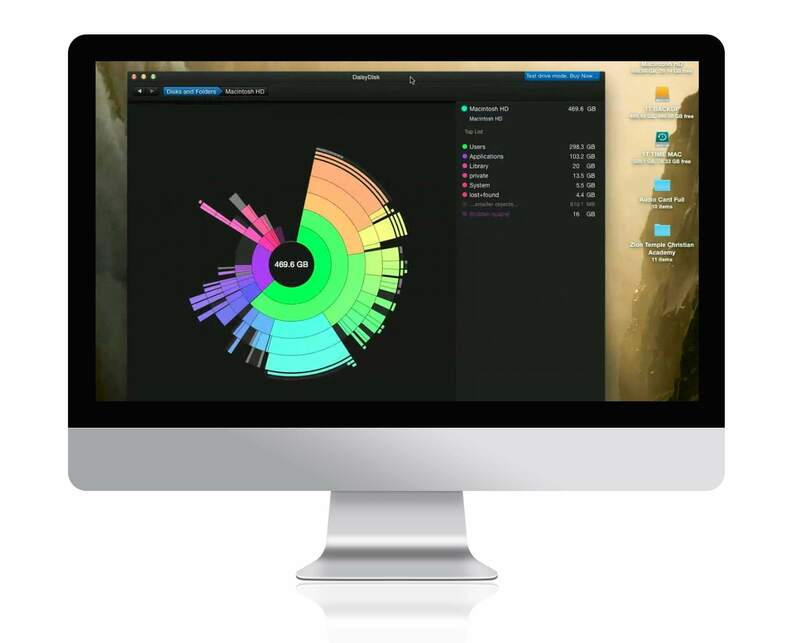 DaisyDisk is an efficient and cost-effective software for maximizing storage on a Mac device. Their file management software earned them worldwide recognition. DaisyDisk's vision of the customer experience isn't supported by legacy payment processing solution. In 2009, Oleg Krupnov launched DaisyDisk to help Mac users optimize space on their machines. Inspired by the team’s expertise in software and design, DaisyDisk was built for creative professionals whose work produces large files. It offers a beautiful, easy-to-use interface and an efficient process for finding and removing unnecessary files which helps users save time and money. DaisyDisk was using an inexpensive order processing system but was disappointed to learn that it was error-prone and lacked important ecommerce functionality. As a proponent of the customer experience and, DaisyDisk couldn’t afford to lose sales by aligning itself with an inferior transaction solution, so it began to seek an outsourced ecommerce management platform. A robust ecommerce management platform that provides full back office support and customization. DaisyDisk reexamined its requirements and decided it needed more than just a payment processing system. 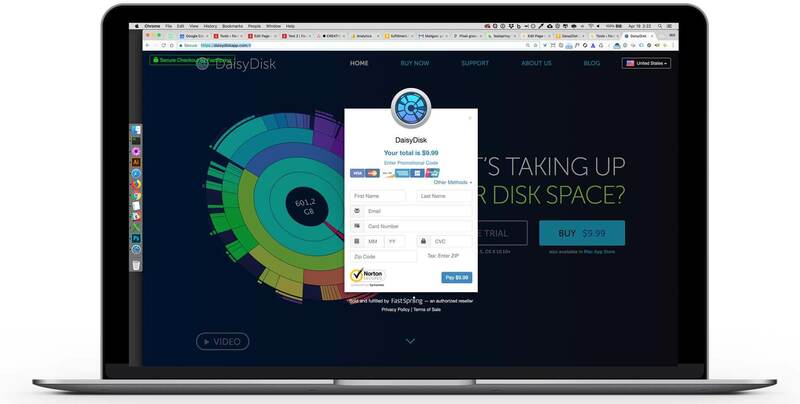 DaisyDisk wanted to provide its customers with a quick and easy checkout experience while accommodating the unique needs of a global audience. It also required a solution that would allow it to customize the transaction experience, but it didn’t want to waste time on a complicated implementation. DaisyDisk needed a modular, cost-effective solution that could be up and running within a matter of hours, not days or weeks. FastSpring was the optimal solution. A seamless customer experience leads to more conversions and less oversight. After a painless implementation, DaisyDisk customized the FastSpring platform to create the minimalistic checkout experience it desired. It selected a “pop-up” check-out instead of a traditional cart and limited the input fields to essential information only. When customers click “buy” they are now presented with a simple form right on top of the current page. Of course, there’s more to the purchase experience than a beautiful checkout flow. DaisyDisk didn’t want to become an expert in data security, currency conversion, global tax management, or fraud detection. Nor did it want to allocate precious time and resources to managing support for their ecommerce business. DaisyDisk valued these activities, but it needed to focus on its core business and marketing their solution to their target audience. It wanted to outsource these details to a feature-rich back-office solution that can manage the needs of a global audience, and integrate seamlessly with their website. It found all that and more in FastSpring. By outsourcing their ecommerce needs to FastSpring, every aspect of order placement and processing occurs in the background—including global tax management, converting currencies, and reporting sales for accounting. This means DaisyDisk is no longer subject to the perils of complex back-office operations. FastSpring has become an essential and effortless part of the DaisyDisk business.